I haven’t done this feature in a while but was reminded of it when I stumbled on the sign and fruit pictured above at Central Market. 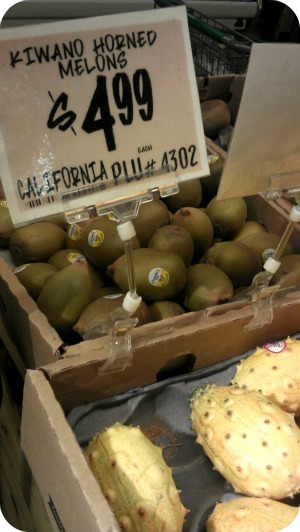 We were looking to get kiwis and got distracted by this interesting looking fruit. Alan asked me, “Do you want to buy one?” And I emphatically answered, yes! We forgot about the fruit almost two weeks later and I did the usual ripeness test. A slight squeeze and my gut (with confirmation from Google) was telling me the fruit was still good. I did some reading up on it the night we finally decided to cut it open. The Kiwano or Horned Melon is in the melon family and originally from Africa but now grown in other places. It grows in bushes and turns yellow on the outside and green on the inside when ripe. How do you eat it? There are a few ways. 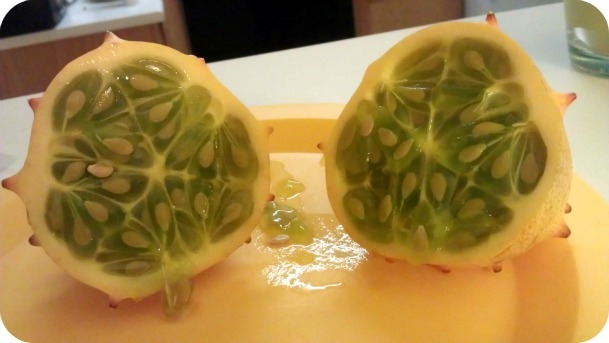 You cut it directly in half and start sucking on the gel like green flesh and seeds. You squeeze the shell to pop out more seeds and goo. Some people eat the seeds and others spit them out. Alan and I ate the seeds because they were so soft. The texture kind of reminded me of cucumbers and kiwi but wetter. The taste? Like bananas. At 5 dollars a fruit, I probably won’t buy them again, but eating them was a fun novel experience. 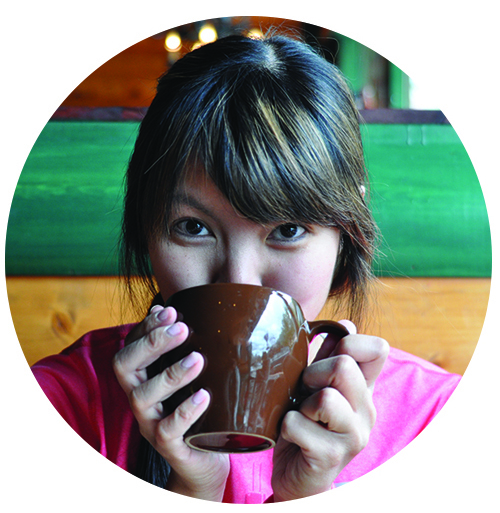 You know how there are things you eat and drink more of the activity than for the taste? (Like bubble tea and sunflower seeds?) I would categorize the Kiwano into that type of edibles.